Have you ever looked at your paycheck and thought you were doing pretty good for yourself? If so, you may not want to read the rest of this article. Professional athletes are notorious for raking in the dough, but some are more highly-compensated than others. If you wonder how your favorite sports stars stack up (and how pitiful they make your income seem by comparison), take a look at the following list of the highest paid athletes. With $57.5 in accumulated salary and endorsements worth another $2 million, the quarterback for the Detroit Lions is doing just fine for himself. The Dallas, Texas native was a first round draft pick in 2009 and has proven it was a smart choice as he’s one of only four quarterbacks in NFL history to throw for over 5,000 yards in a single season. Matt Ryan, the quarterback for the Atlanta Falcons, has got $5 million in endorsements and $62.3 million in accumulated salary to put him in the number 9 spot. A former Boston College player, Matty Ice was drafted third overall in the 2008 draft. He’s likely to shoot up the list quickly as he recently became the highest paid in NFL history with his $150 million five-year contract extension he signed with the Falcons just this year. With his status as the star of the NBA champion Golden State Warriors, you’d think Steph Curry would rank a bit higher on the list. Nevertheless, his $34.9 million in salary and another $42 million in endorsements are pretty impressive and it’s likely this hoops star will move up the list as his career progresses. This Swiss tennis champ may have only racked up $12.2 million in salary, but his whopping $65 million in endorsement lands him solidly in the number 7 spot. 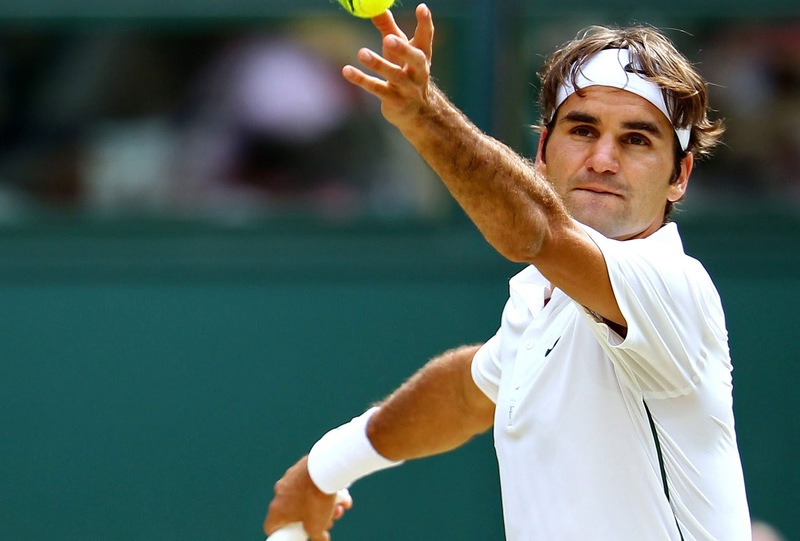 Currently ranked number 2 in the world in men’s singles tennis, Federer has won 20 Grand Slam titles and a record eight Wimbledon titles in addition to numerous other titles. Federer has two sets of identical twins with former tennis star wife Miroslava Vavrincova, so he’s probably going to need every penny of his record-setting wealth. We all knew The King would make the list, though some may have thought he’d rank higher than number 6. However, his $52 million in endorsements and another $33.5 million in salary are certainly nothing to scoff at. With James being a free agent going into the new season, though, anything could happen. It may seem crazy to some Americans that a Brazilian soccer player would make more than an NBA star, but that’s the case with Neymar. His enormous $73 million in salary makes some of the others on the list look poor by comparison and this amount is bolstered by another $17 million in endorsements. Can you say goooooaaaaalll?? Oh yes, the bad boy of mixed martial arts certainly has a lot to brag about when it comes to his bank account—and we’re sure he does brag about it. Repeatedly. Conor McGregor has won $85 million showing off his skills in the ring and pads that with an additional $14 million in endorsements to land the number 4 spot on our list. So you thought Neymar made a lot of money? Wait ‘til you hear what Portuguese soccer star Cristiano Ronaldo makes! A forward for the Real Madrid team, Ronaldo has brought in slightly less in salary than Neymar at $61 million, but he eclipses the other star’s endorsements by $30 million, bringing in over $47 million in this area and securing him the number 3 spot. Wait, we’re not done with the soccer boys yet! Argentinian player Lionel Messi, a forward for Spanish team Barcelona, has brought in over $84 million in salary since he started playing professionally and has racked up another $27 in endorsements. It only makes sense that he tops the list of soccer players as he’s often referenced as the greatest soccer player to have ever played the game. Conor McGregor should watch his bragging as his earnings pale in comparison to boxer and former opponent Floyd Mayweather. This undefeated boxer scored his $275 million in salary by fighting McGregor in August and his additional $10 million came from endorsements. Who else can say they made a list of the world’s wealthiest with just one night of work? Cha-ching! It’s incredibly difficult to make it in the world of professional sports, so no one should begrudge these athletes for scoring big-time money. However, it might be a little difficult to enjoy your favorite football game or soccer match the next time you turn on your television when you realize just how much these guys make.